The Philippines is an archipelago, rich in history, beautiful scenic spots, kind and cheerful people, and iconic foods! No wonder, many tourists fall in love with the country easily. If you are watching Travel Channel’s “Bizarre Foods with Andrew Zimmern,” you may have seen how Andrew Zimmern excitedly tasted balut (duck embryo), which Philippines is famous for. 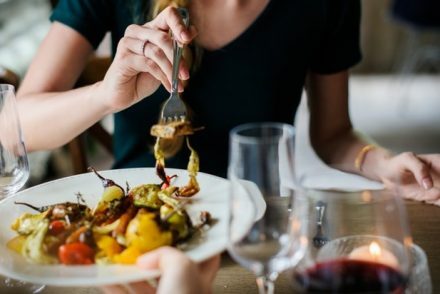 According to the American television personality, food writer and chef, who visited the Philippines in 2014, the Filipino food would be the next big thing in the international cuisine. Filipino foods may lack attractive presentations that Korean and Japanese foods offer, but definitely it is one of the best when it comes to flavor. Forget about balut or lechon (roasted pig) that you often see on the television. 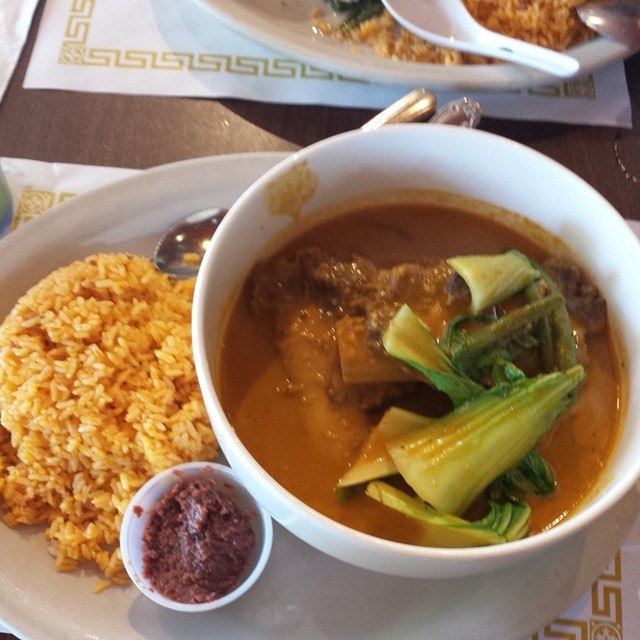 Kare-kare is one of the well loved dishes by the locals as well as foreigners. It is the second most popular dish next to Philippine’s Adobo. The dish is a stew with rich, savory peanut sauce or ground peanuts, oxtail, calves feet, beef stew meat, pork hocks, pig feet and offal or tripe. 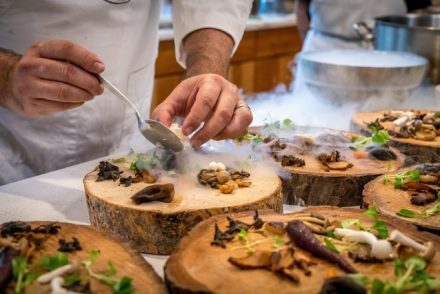 The stew can be composed of vegetables or seafoods, instead of meat, such as mussels, squid and prawns. Kare-kare is a complete meal because it also has vegetables, including eggplant, asparagus beans, Chinese cabbage, daikon and green beans. The dish is eaten with bagoong (shrimp paste) that can be added with chili. 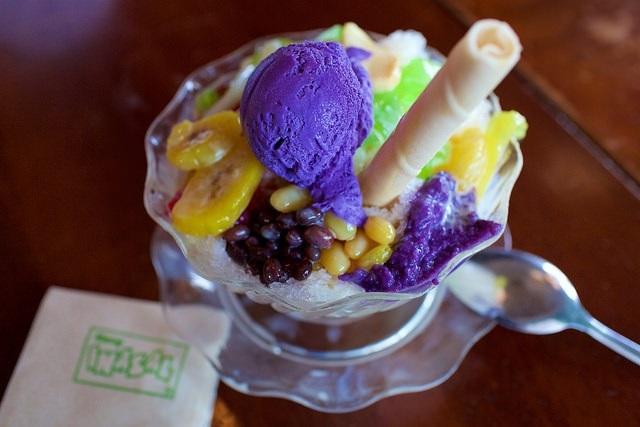 Halo-halo (mixed together) is a favorite dessert of the Filipinos made of shaved ice, various sweets, including gulaman (agar jelly), sweetened banana and then topped with ube (yam), leche flan, or ice cream and evaporated milk. Sometimes, it is also mixed with boiled sweetened chickpeas, sweetened kidney beans, sugar palm fruit (kaong) and coconut sport (macapuno). Sugar is also added to the dessert and placed in a tall glass or a large bowl. Pork sisig is another signature Filipino food that is so popular in bars and restaurants throughout the country. Zimmern once touted the dish as “one of his favorite dishes.” It is made from chopped pig’s face, pig’s ears and chicken liver. The dish originated in Pampanga (province) and is seasoned with chili peppers, calamansi (calamondin), topped with sunny side up egg, and served in a sizzling iron plate. 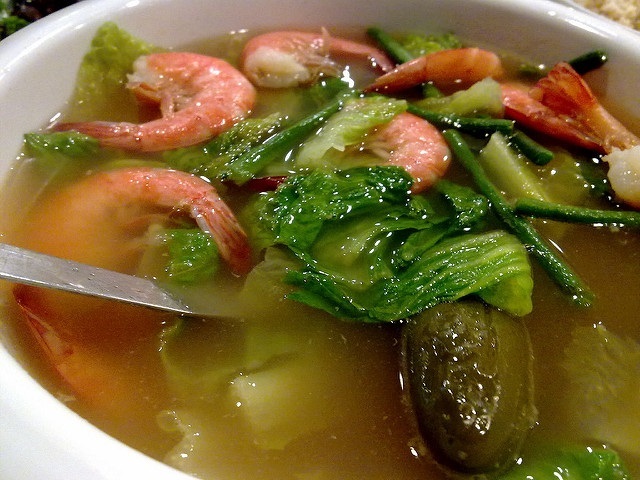 Sinigang is a very popular Filipino stew or soup that has a unique savory and sour taste. It is almost similar to the Malaysian dish called Singgang. The stew is one of the favorites of the Filipino families. The original version of sinigang is cooked with tamarind, giving it a one-of-a-kind sour taste. Sinigang is called a one-pot meal because it is complete with the main ingredient that can be pork or beef or seafoods, tamarind, tomatoes, vegetables, such as okra, water spinach (kangkóng), white radish (labanós), taro corms (gabi), yardlong beans (sitaw) and eggplant (talóng). It is often garnished with long, green peppers to add spice. There are several variations of sinigang, including: sinigang sa miso, sinigang sa mangga (unripe mango), sinigang sa bayabas (guava), sinigang sa kalamansi (lemon), sinigang na isda (fish), sinigang na baka (beef), sinigang na baboy (pork), sinigang na hipon (shrimps) and sinampalukang manok (chicken with tamarind). If you’re new to the country, you shouldn’t miss puto (rice cake) and dinuguan. Dinuguan,often prepared during fiestas is a flavorful stew cooked with pork or pork offal, such as kidneys, lungs, heart, snout, intestines and ears. It is mixed with the gravy of the pig’s blood, vinegar, garlic and chili. The dish is often eaten with puto. 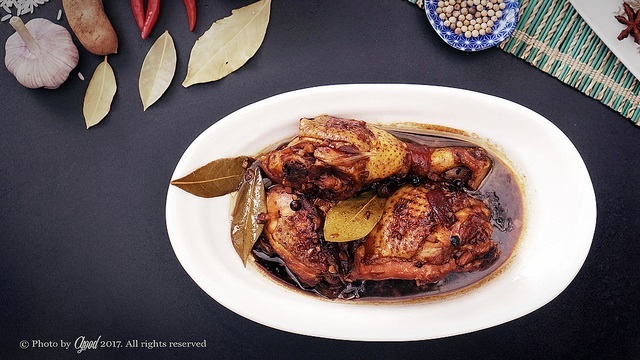 Adobo is made of pork or chicken or both and marinated in vinegar, soy sauce, garlic, black peppercorn and bay leaf. 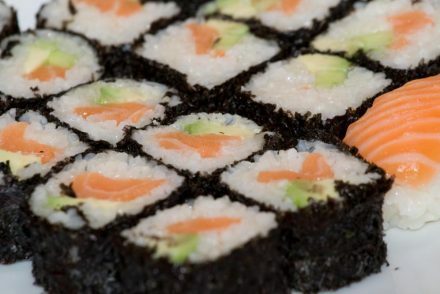 The dish is so popular that it is cooked even by foreigners. Marie Sandoval is a chef, certified food lover and food blogger. Her passion in cooking is seen in her several recipe books that she herself has written. Aside from cooking, Marie loves traveling and discovering different cuisines, she is also a life coach. Visit the Official site here.